Our Cheesy Adventures continued with a stop at the Aggie Creamery on the gorgeous Utah State Campus, where we met with Don McMahon and Steve Shelton. The creamery, known for incredible ice cream, is also a small scale cheese making facility, focused mostly on teaching. 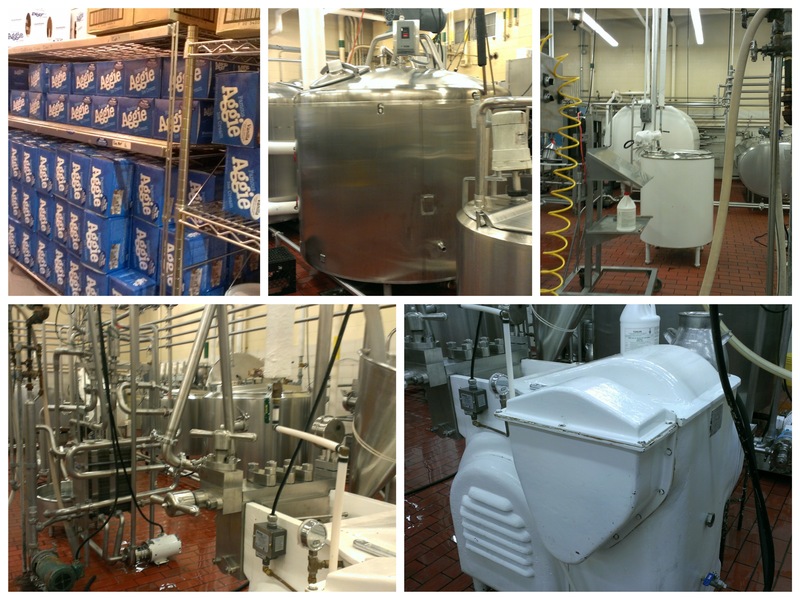 Undergraduates can learn food science and processing and graduate students can utilize the facility for research. They also feature community classes for those interested in making cheese. They offer 2 classes a year 1 basic and 1 advanced. The basic goes over how to make cheddar, mozzarella, and monterey jack. The advanced class goes into different flavors and techniques. These classes are where many of our local cheese artisans cheddared their first batch of cheese. In fact Beehive Cheese, Gold Creek Farms, Rockhill Cheese, and Heber Valley Artisan Cheese learned here and are now making award-winning cheese. Old Ephraim Smokey Swiss : A processed cheese made from swiss cheese with a mild smokey hint along with great swiss flavor. Big Blue Cheese Spread: A creamy spreadable cheese made with cream and Blue cheese. It was delicious on crackers. Old Juniper Cheese: Aged for more than a year for a sharp mature cheese with a rich flavor. Great for sharp cheese lovers. Crimson Trail Cheese: A processed cheddar cheese flavored with jalepeños. This cheese has some serious kick and would be wonderful on nachos. White Pine: A vintage white cheddar cheese aged for 2 years. One of our favorites. If you have never tried their cheese, be sure to pick up a block with your next ice cream purchase. 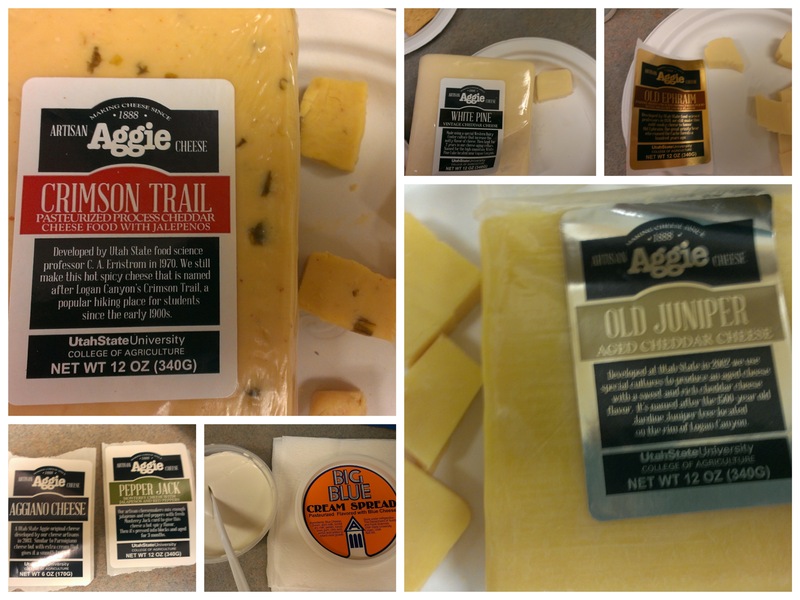 Aggie cheese is especially popular around the holidays and makes delicious gifts. Tours are also open to the public. Check out their website for more information and see where the magic happens first hand. I visited your school on May and friends bought me variety of cheeses as the gift. They are so delicious ! I live in Houston Tx, Can I order the cheeses and pay the shipping fee myself ? Please let me know. So glad you enjoyed the cheese! Not sure if you can order from out of state, but it’s worth contacting them directly: http://aggieicecream.usu.edu Thanks! !